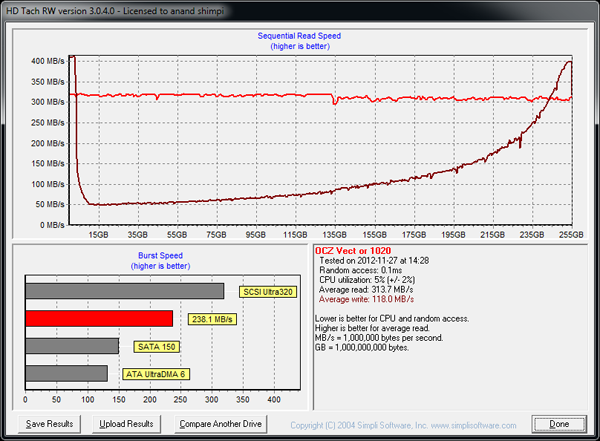 As we showed in our enterprise results, Vector's steady state 4KB random write performance is around 33MB/s. The worst case sequential performance here is around 50MB/s, which is in line with what you'd expect. Sequential writes do improve performance, but as with most SSDs you're best operating the Vector with a bit of spare area left on the drive (in addition to what's already set aside by firmware). At 50% capacity there's an internal reorganization routine that's triggered on Vector, similar to what happens on the Vertex 4. During this time, all performance is impacted, which is why you see a sharp drop in performance just beore the 135GB mark. The re-org routine only takes a few minutes. 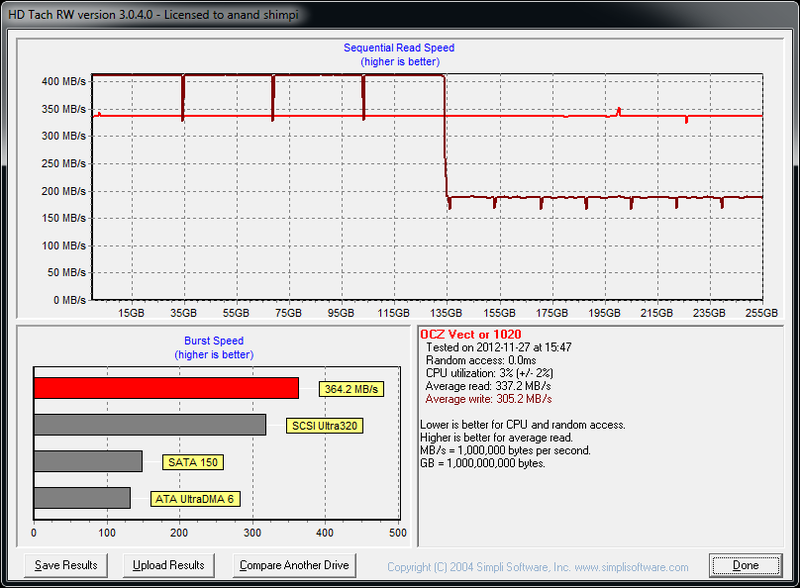 I went back and measured sequential write performance after this test and came back with 380MB/s in Iometer. In other words, don't be startled by the graph above - it's expected behavior, it just looks bad as the drive doesn't get a chance to run its background operations in peace.